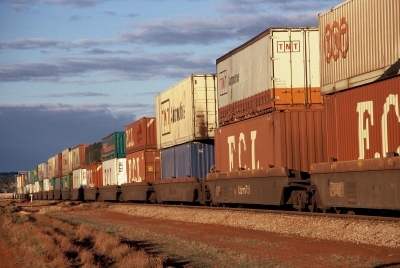 The Australasian Railways Association (ARA) is calling for the Australian government to play a more significant role in supporting and promoting passenger and freight rail infrastructure in the 2019-20 federal budget. Australia’s population growth is making rail transport an essential component of addressing Australia’s growing public transport and freight needs. “Cities are increasingly looking to integrated transport systems that link high-capacity metro systems with current rail networks, light rail, regional rail and other transport modes to encourage active and engaged community-based lifestyles,” said ARA CEO Danny Broad. “Rail provides the backbone of public transport systems, for our growing cities. “Similarly, Australia’s growing population requires an increased allocation of goods, adding pressure on our freight networks. Rail freight provides a cost-effective, safe and environmentally sound solution for reducing congestion from heavy vehicles on urban, regional and interstate roads. Rail freight will need to play a greater role in the future to meet Australia’s increasing freight task and to maintain our international competitiveness,” he concluded. The ARA’s National Rail Industry Plan for the Benefit of Australia presents a compelling case for amore collaborative approach between Australian governments and the rail industry to overcome inefficiencies inherent in our federal system. 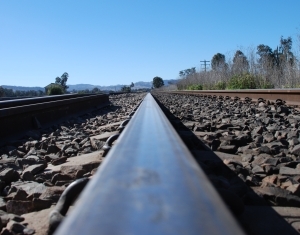 Resourcing the Australian and New Zealand Industry Pipeline to provide a comprehensive list of rail projects to allow better industry planning for new rail infrastructure and rolling stock. Supporting a high-level task force of the rail industry, governments and education providers to address critical skilled labour shortages and provide ‘fit-for-purpose’ training in rail construction, manufacturing, maintenance and operations. Providing appropriate resources at the federal level to progress and implement measures contained in the final National Freight and Supply Chain strategy, including both infrastructure upgrades and the strengthening of regulatory frameworks. Implementing independent price regulation of heavy vehicle charges. For too long we have had unequal charging and regulatory systems, placing rail at an unfair competitive disadvantage. Support passenger rail operators to comply with Disability Standards for Accessible Public Transport (DSAPT). Tackling urban congestion by allowing Australians to salary sacrifice the purchase of public transport tickets, positioning public transport as a viable alternative to car travel. Taking steps to preserve and secure the corridor of land required to establish a high-speed rail link between Melbourne, Sydney and Brisbane. The ARA also provided the government with a list of rail optimisation projects to consider, where existing rail services could be enhanced.